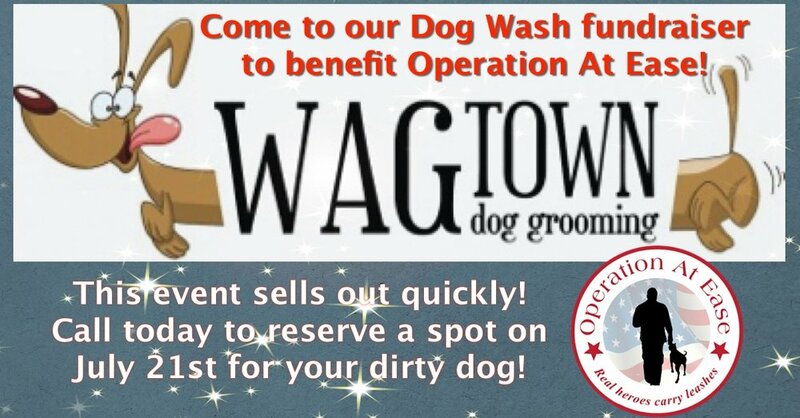 Our good friends at Wag Town dog grooming are holding a dog wash fundraiser on July 21st with proceeds benefiting OAE! Call today to schedule a spot for your pup! Please note that this is a very popular event and to accommodate as many people as possible they are doing baths only, no cuts/trims or grooms during the event. $25 bath, blow dry, nails and ears. Limited appointment times so please call 518-399-8759 to reserve your spot. ** Appointment times fill fast so don't wait! Because of the popularity of this fundraiser no haircuts can be done. ** 100% of the proceeds go directly to Operation At Ease!